Tonight is census form filling time. 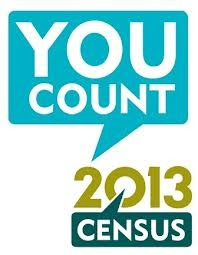 The census was meant to be run in March 2011 but was postponed due to Chch earthquake. This is the 7th census form I have filled out as a Kirby, and I was only recorded as a Boyd 4 times of which I think I only filled in 2. The 1985 census was the first one that featured Kirby offspring from us, and of course Maria didn't get counted until 1991. The first NZ census was 1851 and counted only Europeans. Up until 1906 the census included questions about children attending Sunday School. While there remain questions about living with a disability these have been framed more positively over the years. In 1916 the question was Are you deaf, dumb, blind or an imbecile? In NZ they stopped asking questions about the number of servants about the same time as we stopped asking about Sunday School - we could create a wonderful causal relationship between the decline of household servants and declining religious attendance but that would be totally spurious. At least. Counted servants as a person, apparently in the USA slaves were counted as 3/5ths of a person.